You know what no kids means? It means no cooking! 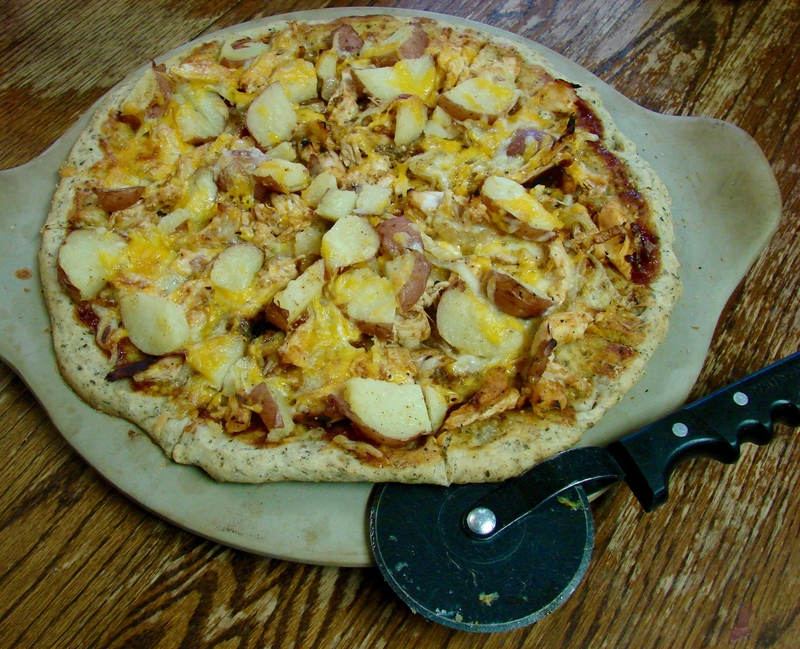 I almost didn’t consider this BBQ Chicken Pizza cooking, since it was so easy to put together. I love recipes like this! Ok, so I did caramelize some purple onion (call it red onion if you’d like, but it’s clearly purple). I also cooked a couple of potatoes, but I did it in the microwave using this awesome thing-a-ma-jig (you can get one here, and it’s actually a potato bag, not a thing-a-ma-jig. I highly recommend it!). I guess I sort of made a crust, but since it came from a mix, it was no trouble at all. This BBQ chicken pizza was absolutely delicious, and very man-friendly, thanks to those few extra steps that could possibly be called “cooking”. Yep, I put potatoes on pizza! Coach is a meat and potatoes kind of guy, and I like to make my guy happy. He grilled the chicken the night before, and he made his famous homemade barbecue sauce, so it was the least I could do! Coach loved this BBQ Chicken Pizza, and told me not to forget how I made it. 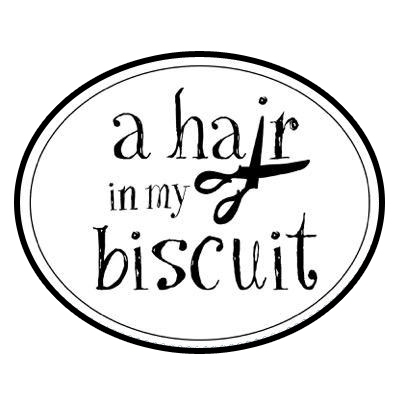 That’s why it’s becoming a blog post! or make your own (here’s a good recipe I’ve tried). A pizza is only as good as its crust, in my opinion. I kind of love pizza crust…if it’s done right! I chopped up the chicken and tossed it with a little bit of Coach’s famous barbecue sauce. The potatoes got cooked to almost done in the microwave, cooled, then cut into bite-sized pieces. I tossed those cooled bite-sized pieces in a little bit of olive oil and some cajun seasoning. Top the crust with a good spoonful of barbecue sauce, then layer on the chicken, onions, potatoes, and a healthy amount of shredded cheddar jack cheese, then bake. Then, eat, because that was the best part! This was definitely the best BBQ chicken pizza ever! Yours will be almost as good, but Coach still won’t let me give you his barbecue sauce recipe. Do you like to experiment with pizza, or are you a traditionalist? I’m already jealous and drooling just thinking about the pizza my girls will get to have in Italy. There is just nothing like the real thing, ya know? Pizza was one thing that the two of them actually agreed on as their most looked-forward-to meal overseas. Toss chicken with 1/2 cup of barbecue sauce to coat. Chop onion, and cook in 1/2 TBSP. olive oil until soft. Cook potatoes in microwave until just done, cool, then chop. Toss with remaining olive oil and cajun seasoning. Spread remaining 1/2 cup of barbecue sauce onto pizza crust. Top with chicken, onions, potatoes and cheese. Bake according to the directions on your crust. Maybe you can take this BBQ chicken pizza to the next level with some bacon, or jalapeños! Coach would have loved either. This was an easy weeknight, date night, man-friendly meal, and I enjoyed it almost as much as Coach did. Bon Appetite! (yeah, this whole “pretending to be in Europe” isn’t working). This post is linked up with #FoodieFriDIY, Create Link Inspire, Sweet Inspirations and Thursday Favorite Things! We had pepperoni pizza last night that your children picked out. I thought it was good until I saw this. This was hard to beat! That pizza looks killer. And I love potatoes, so it’s a win-win. Enjoy your alone time!! Thanks! It will go by fast!